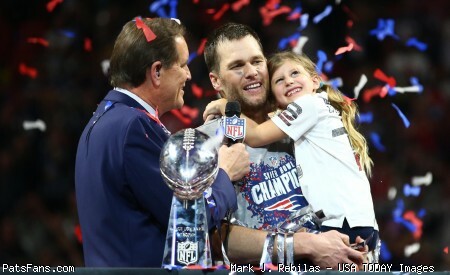 Discussion in 'PatsFans.com - Patriots Fan Forum' started by oldrover, Feb 11, 2019. Hope we run the score up on the Vagiants. Would love a shot at them in SB54. In case anyone hasn't taken notice, absolutely sucking ends up helping their legacy , and Eli's. As long as he can stay away from the postseason, he can remain a "clutch" fraud with a ridiculously small sample size. Outside of the two Super Bowl runs, he has zero postseason wins. You forgot about the Redskins! I don't think anyone really cares about them. It's really odd how the Giants have only made the playoffs a couple of times in the Brady era and yet won it all against the Pats both times. I'm hoping that the Pats play the Cowboys late in the year and knock them out of the playoffs. It's fun to see papa Jones burn. In spite of the recent success of the Eagles I don't get up for them as much as some Pats fans. I don't know why. I like the Redskins. They have a great nickname and the team's a pushover. It's too bad they don't also use the tomahawk chop. My FOX feed is always NFCE. I'm sick of seeing them. My neighbor's an Eagles fan. Do I need to say anymore? So you're saying he's never lost a Super Bowl? 2 years he caught lightning in a bottle going 4-0.. In four other playoffs years, he mimicked his brother going 'one and done' four times..
One other stat, Eli is 116-114 overall. Let him go 7-9 or worse so his overall record is sub .500. That has to come into play when he is considered for the Hall of Fame. Other than Namath are there any QBs with under .500 records?? 1.) Big game @ Philly for sure. 2.) Happy playing the Skins in Virginia....and hosting the Cowboys/Giants. 3.) Last time we played the NFC East, we went 3-1...but lost @ home to the Chip Kelly Eagles! 4.) Before that....we went 3-1 with a loss vs. Eli @ home in 2011...and again the SB. 5.) Before that...we went 4-0, but lost vs. Eli in the SB! 6.) Before that...we went 3-1....losing to the Skins for the last time in the 04' season (2-2 start). So, in summary....13-3 in the Brady era vs. the NFC East....but 1-3 in Superbowls....go figure!! !